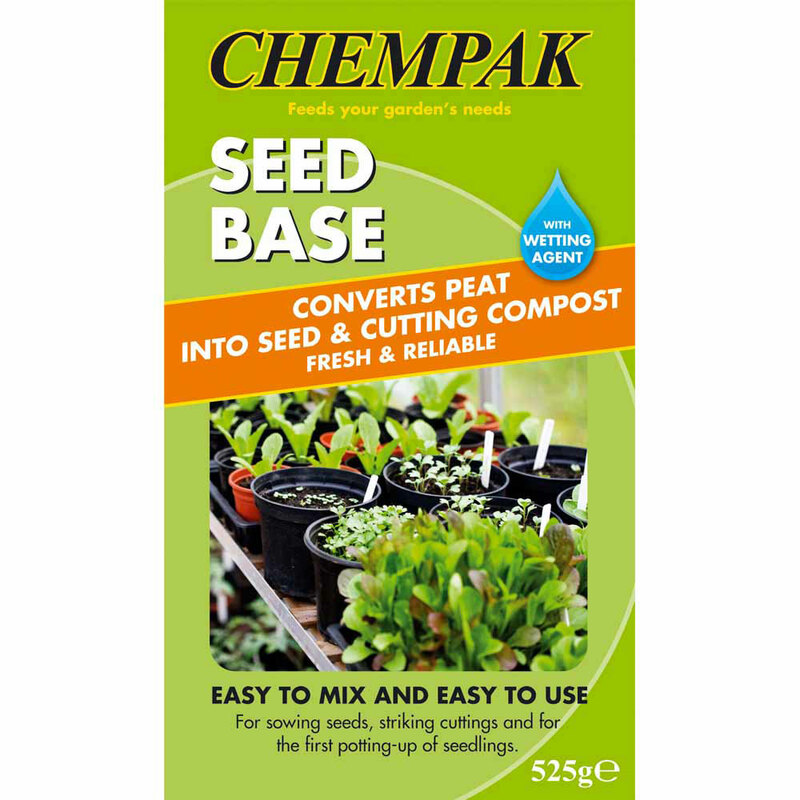 Chempak® Seed Base 525g Carton - Provides an inexpensive and easy way to convert peat into seed and cutting compost. Chempak Seed Base contains a unique 'Soluwet' wetting agent which helps to 're-wet' the compost and promote germination, lessen evaporation and reduce watering. 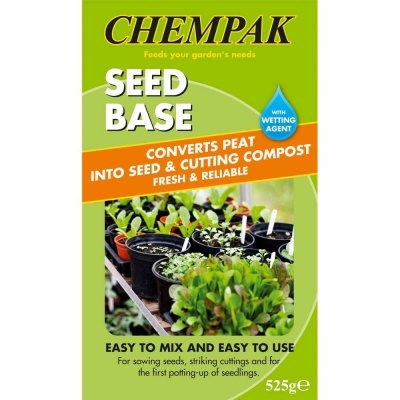 Chempak Seed Base offers a reliable method for converting peat into seed and cutting compost, which is then ideal for sowing seeds, striking cuttings and for the first potting up of seedlings. Easy to Mix and Easy to Use!